The investment trust which launched at the end of 2015, has investments in a number of office and industrial properties throughout the country, and intends to use the proceeds of the bond issue to pay off other, more expensive debts. This is good news for income investors starved of retail bonds in recent times; its bond will pay interest six-monthly in arrears until the bonds mature in 2024. The notes are expected to be listed on the official list of the UK Listing Authority and admitted to trading on the regulated market of the London Stock Exchange during normal market hours on the London Stock Exchange’s electronic Order book for Retail Bonds (ORB); they are eligible to be held in both ISA and SIPP wrappers. The bonds are available with a minimum investment of £2000 and multiples of £100 thereafter; They are available until August 1st via Regional Reit’s appointed brokers, A J Bell, Equiniti, iDealing and Redmayne-Bentley. .
Few new retail bonds have been offered to private investors in recent years.In June the charity Belong listed a 4.5pc retail bond, maturing in 2026, to help fund dementia care and the construction of retirement villages.But in December last year a start-up lender, BlueZest, failed to attract sufficient interest from investors in a 5.25% retail bond and postponed the planned listing. The investment company's ordinary shares yield 8% and pay monthly dividends but the trust has 93% gearing - or borrowing - the highest in the AIC Property Direct sector. It operates a split capital structure in which the company borrows money from holders of its zero dividend preference shares (RGLZ), who receive an annual gross redemption yield of 4.8%. At the end of 2017, the group’s investment portfolio was spread across 164 properties, consisting of 1,368 individual units with a total of 1,026 tenants. The value of the portfolio was £737.3 million, with a rent of £61.9 million a year, or a yield of 6.5%. In December, Regional raised £73 million from shareholders, short of its £100 million target, in a placing of shares; it used the money to buy a portfolio of three office blocks in Woking, Cheshunt, and Edinburgh that had a net initial yield of 8%. 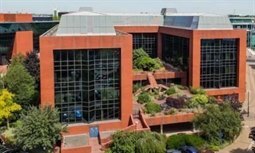 It also planned to use some of the money to acquire a portfolio of 17 office properties for £47.6 million, with a yield of 9.2%.